Follicular dendritic cells (FDC) have been noted as one of unique immunological accessory cells. They are localized within lymphoid follicles as an intricate cellular meshwork that helps to maintain follicular structure. 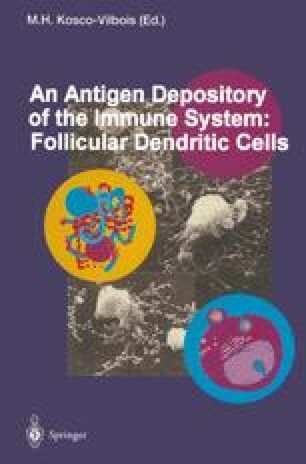 FDC also have the capability to trap and retain antigens in the form of immune complexes on their surface for long periods, providing unprocessed antigens to germinal center B cells in the form of iccosomes (immune complex-coated bodies); In this chapter, the morphological features and the cytochemical and immunological phenotypes of FDC are reviewed and discussed within the context of recent topics and controversial issues.